Enjoy your favourite hot drink in style with this Orla Kiely Love Hearts Quite Big Mug, featuring a quirky hearts and flowers design in Pink. Screen printed and decorated in the UK, the mug is made from bone china and is microwave safe, making it ideal for everyday use. The colourful design is sure to be instantly recognised by those in the know. 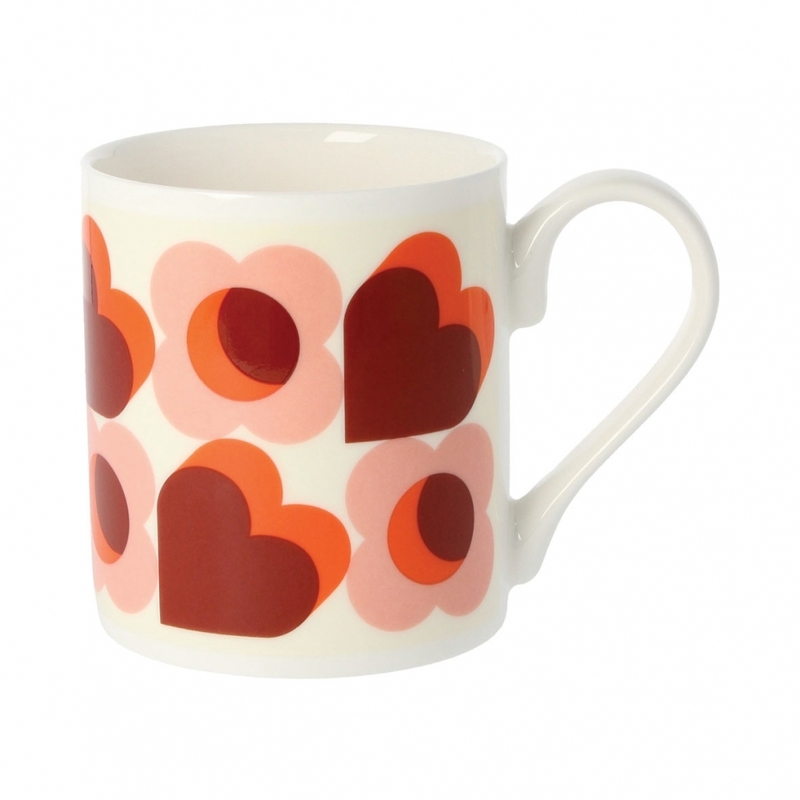 A stylish addition to a retro or contemporary home, the Love Hearts Pink Quite Big mug can be mixed with other Orla Kiely mugs and accessories and would make a perfect gift, especially for an Orla Kiely fan you love.